Agni-5 with its higher payload and MIRV capability – with high accuracies – does give India a counter force capability. This is definitely a higher order message to potential adversaries. With Agni-5 India tells to the world that although we are NFU, although we follow no first strike, and although so far we have counter value capability, but now if anyone actually uses a nuclear weapon against India, we have the counter-force capability to strike of the nuclear strike forces of the adversary. The fourth Agni-5 test is scheduled to be conducted during the month of February 2016. This will be the second canister launch. Agni-5 will be ready for induction after few more tests – especially the test of its multiple independent targeting re-entry vehicles (MIRV) capability. The ability to carry 1-1.5 tons warhead over 5000+ kilometers range is definitely another feature of the missile that puts it in a different category than whatever missiles India has. Although, its induction and deployment is some years ahead, it already has produced interesting reactions in media worldwide. The key discussion has been about its range – whether it is 5000 km or 8000 km and above. Whether it should be truly called an ICBM? Also, about the multiple independent targeting re-entry vehicles (MIRV) capability to have 3-10 different warheads that it can carry. Indeed it is a major feature and technology that will catapult India to a very small set of nations with this capability. The ability to carry 1-1.5 tons warhead over 5000+ kilometers range is definitely another feature of the missile that puts it in a different category than whatever missiles India has. A 500 Kg payload can give the earlier missiles ability to carry nuclear warheads with 20KT yield, or something similar to what was exploded above Hiroshima and Nagasaki. With three times the payload, India now has the capability, in theory at least, to carry higher yield say 150KT to 1 MT yield nuclear warheads to distance above 5000 km. This gives India a real counterforce capability if our doctrine and strategy chose that option. If a country has capability to strike population centers of the adversary with nuclear weapons, it is considered to have counter value capability in nuclear strategy terminology. These targets include population centers including big cities, large industrial complexes, power centers, dams, oil refineries etc. The counter value targets typically are “non-military targets” of the adversary, mostly population centers. As these are mostly larger-spread and “soft” targets, the lower yield nuclear weapons, say with a yield of 20 Kilo Tons (KT) of TNT or so, are considered sufficient to pronounce this capability. Further, for counter value nuclear forces, one need a delivery weapon – can be a ballistic missile – which need not have a very high accuracy. One can understand, that if a nuclear bomb explodes above the center of the city or few kilometers away, the devastation on the city will be immense, and in the long term there will not be much qualitative difference in terms of impact on the city – say killing 1 million people immediately or 500,000 people immediately – which one will you take. The obvious answer is none. The counter value nuclear forces are exactly giving this message to adversary – we will take a couple of your cities – whether our missile takes 1 million or 0.5 million people of your city is not important – we can destroy couple of your main cities, if you attack or threaten us with a nuclear weapons strike. The counter value nuclear weapons are the forces to deter the adversary. These are indeed deterrence forces. India need a potent second-strike ICBM-range capability for counter value nuclear strikes as a deterrence to any potential adversary… It is in this context that Agni-5 MIRV ICBM should be viewed and considered. On the other hand, counter force nuclear forces are meant to destroy adversary’s nuclear delivery capability. The counter force nuclear weapons need to deliver high KT or even Mega Ton (MT) of TNT equivalent nuclear yield to the enemy nuclear weapons housed inside the hardened, underground, nuclear shielded sites. Besides, high yield and very high accuracy (typically a Circular Error Probability of 0.01% of the range), the nuclear explosion has to be a surface burst rather than an air burst as in the case of counter value weapons. The surface burst will create large ground craters and take the earth along with adversary’s missiles in the protected silos – to the atmosphere – thereby destroying enemy’s nuclear missiles and also creating the dreaded nuclear fall-out and radioactive rains that may continue for many months in future. These are truly horrendous nuclear weapons – not only in the capabilities but also the intensions of their possessors. India conducted its first peaceful nuclear test in 1974. In 1998, India was forced to conduct nuclear tests so that Pakistan could come out as an overt nuclear weapons state. India should be given due credit for speaking the language of a nuclear weapons free world and acting on it till 1998. Only because the one-sided treaties such as NPT, CTBT and FMCT, were coming to force, India conducted its nuclear tests. Also, within couple of years it published its draft nuclear doctrine, which clearly termed the policy of no first use (NFU) of nuclear weapons. This is a very consistent communication and definitely a responsible behavior, that none can dispute. With the NFU policy, India does not need counter force capabilities. This is true, against any adversary or potential adversary. The counter force nuclear weapons developed during the cold war period into what in the nuclear parlance is called the Mutually Assured Destruction (MAD) doctrine. It is clear the MAD is the doctrine of a country that will take the nuclear attack as the first option in the escalatory spiral of any conflict. However, India has very clearly stated it is not following the MAD and not developing the first strike capability against any adversary at any range. Agni-5 however with its higher payload and MIRV capability – with high accuracies – does give India a counter force capability. 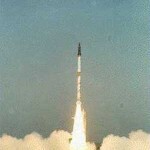 However, given the proliferation of nuclear weapons around the world and pressure by the world powers that are increasingly developing more and more power, India need to develop a second strike capability, that remains potent after first strike by the adversary and is capable of delivering counter value punches at any range across the world. Why at any range? The world is definitely becoming multi-polar and also the threat of force as a coercive influence to shape the future is pursued by different power centers in multiple ways. Further a nation in the globalizing world has to identify its national interests and safeguard these globally. 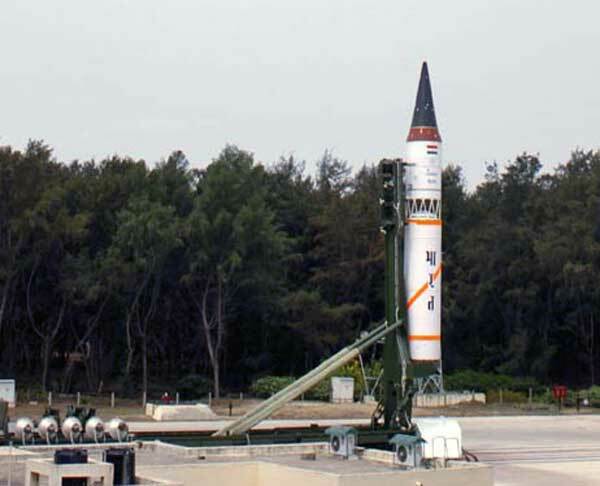 Hence India need a potent second-strike ICBM-range capability for counter value nuclear strikes as a deterrence to any potential adversary that may have designs to either threaten or actually think about taking Indian nuclear missiles in the first strike. It is in this context that Agni-5 MIRV ICBM should be viewed and considered. Agni-5 however with its higher payload and MIRV capability – with high accuracies – does give India a counter force capability. This is definitely a higher order message to potential adversaries. With Agni-5 India tells to the world that although we are NFU, although we follow no first strike, and although so far we have counter value capability, but now if anyone actually uses a nuclear weapon against India, we have the counter-force capability to strike of the nuclear strike forces of the adversary. Also with MIRV even if one Agni-5 survives the first strike by the enemy and reaches the adversary’s capital city, with MIRV, it will unleash such devastation of higher yield nukes that, the adversary will see the futility of any first strike. This truly is a message shift that India has given to the world with Agni-5 – a true game changer, indeed. worked as a Defence Scientist from 1990-2000. He is the founder director of CRAFITTI CONSULTING (www.crafitti.com) – an Innovation and Intellectual Property Consulting firm focused on co-crafting Innovation in global enterprises. He is the winner of Indira India Innovation award for Entrepreneurship and Innovation Leadership for 2012. He is the principal author of Strategic Decision Making- Applying the Analytic Hierarchy Process published by Springer-Verlag, UK, as part of the Decision Engineering Series. Navneet Blogs at http://innovationcrafting.blogspot.com. He can be contacted at Navneet.bhushan@crafitti.com. He is currently working on his next book titled Crafting New Choices. Yes, having a second range with same capabilities as the existing one is a must and must be on priority to build one. May be we can add some futuristic features . Thank you for the info. it is very encouraging. Not that we want to use it. but because it is a real deterrent to those who would try to bully us. Puts us nearer an even footing.